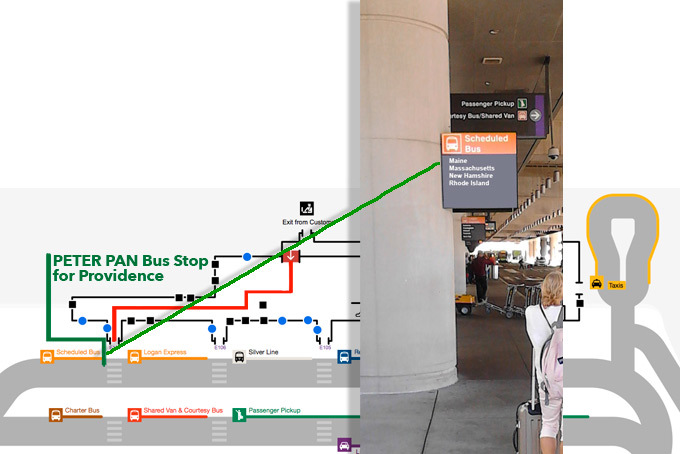 Direct bus from Boston Logan Airport to Providence with Peter Pan Bus Lines. Bus tickets should be booked online because there is no ticket counter at the airport. Ticket from Boston Logan Arpt, MA to Providence Downtown, RI approximatly US$ 20. T.F. Green Airport is only ten miles from the city center and serves all major domestic airlines and is one of the nation's lower fare airports. A standard cab fare to Providence city center is approximately US$30. Please remember a 15 percent tip is considered standard in the United States. In the United States of America the power sockets used are of type A / B. The electrical supply is 120 Volts and 60 Hertz (cycles per second). Local transportation network does exist, but it is sparse compared to European standards.